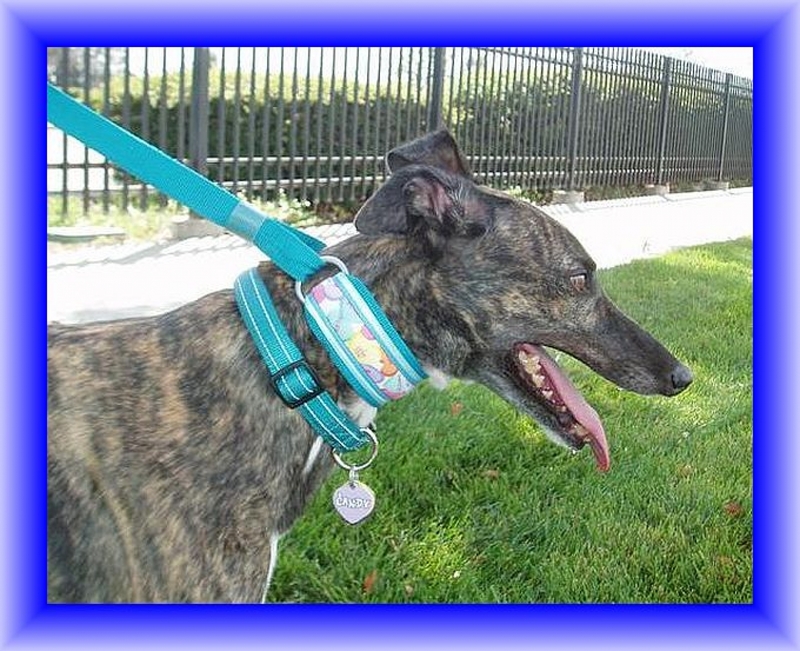 Sized for an Italian greyhound, or similar size small dog. This lead is decorated with a cotton print fabric, gross grain and satin ribbon trims. It is fully lined with the same cotton fabric over soft fleece padding. The webbing base is made of 650lb test polypropylene. 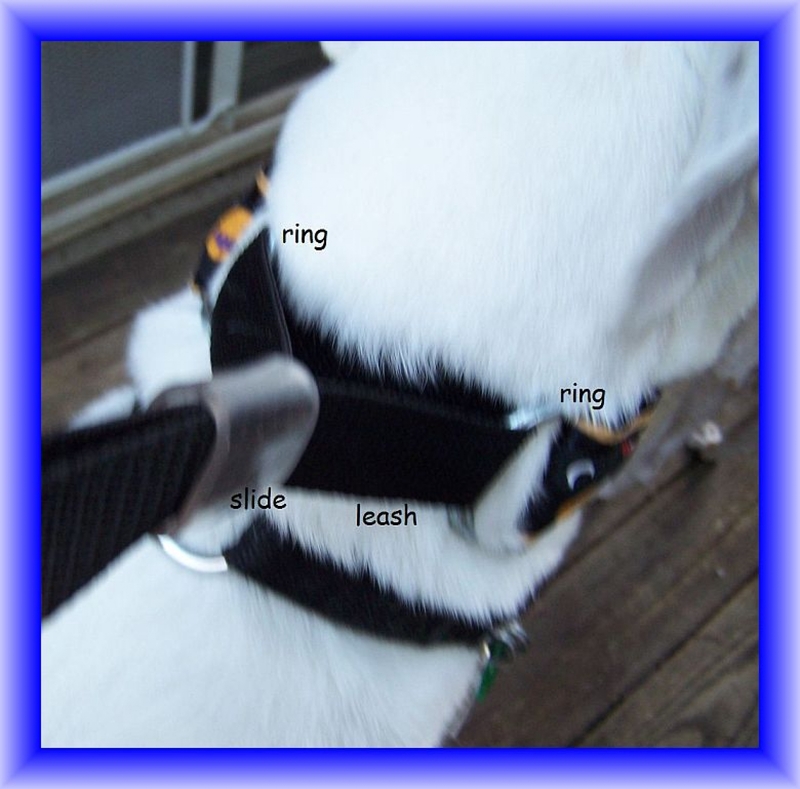 The collar section is 9-1/2” from ring tip to ring tip, 1-1/2” wide, with a 6’ leash, 3/4” wide. 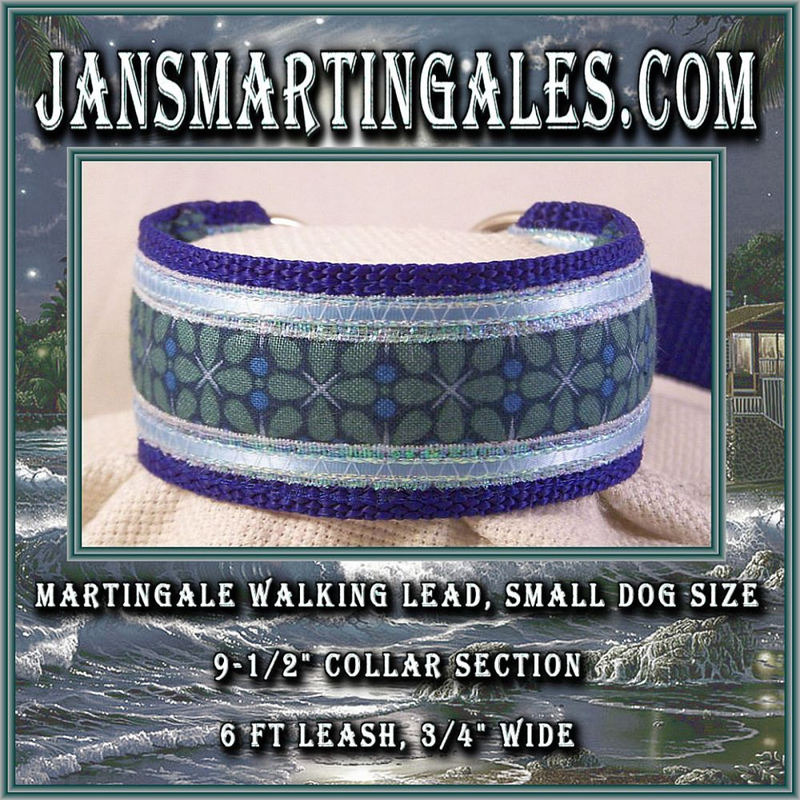 This collar and leash combination will fit a small size dog with a neck size about 10” or 10 1/2” to 11 inches.